*Commercial clients only. Some restrictions may apply. Minimum package purchase price of $2000. If financed contract required & upon approved credit. Additional installation and equipment charges may apply. All businesses are involved with holding sensitive data such as employee records or business documents. How do you monitor who has access to them or sees them? Identity theft is the fasting growing crime in America but the hardest to detect. We offer state of the art technology that features electronic locks, proximity readers, fingerprint, iris or vein readers and keypads. No longer worry about who is walking in your lobby, back door, office or accessing your file room. Our access systems will allow you to program virtually an unlimited amount of users, set permissions for certain doors and times and pull audit trails on demand from any smart phone, tablet or computer. 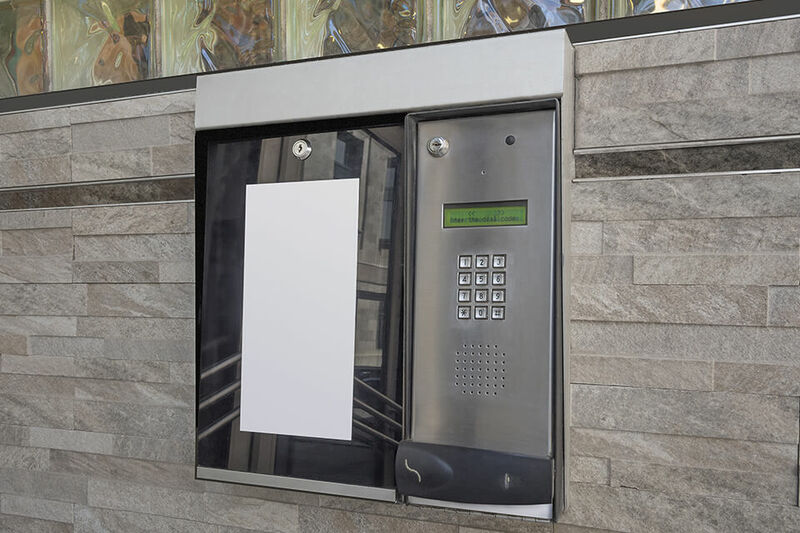 We also offer entry gate systems, vehicle bar code readers, and video intercoms to name a few. The next time someone walks into your business and hits the doorbell be notified on your smart phone, video chat with them and even unlock your electronic lock from anywhere in the world.